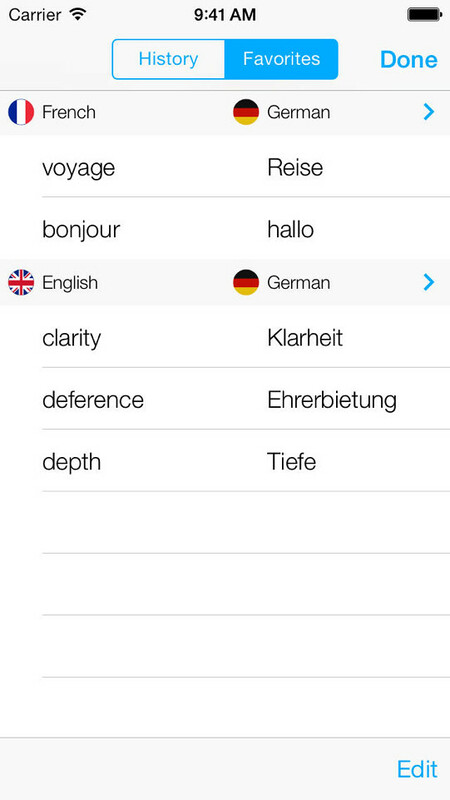 The iTranslate app has been completely redesigned for iOS 7 and has added support for 7 new languages. 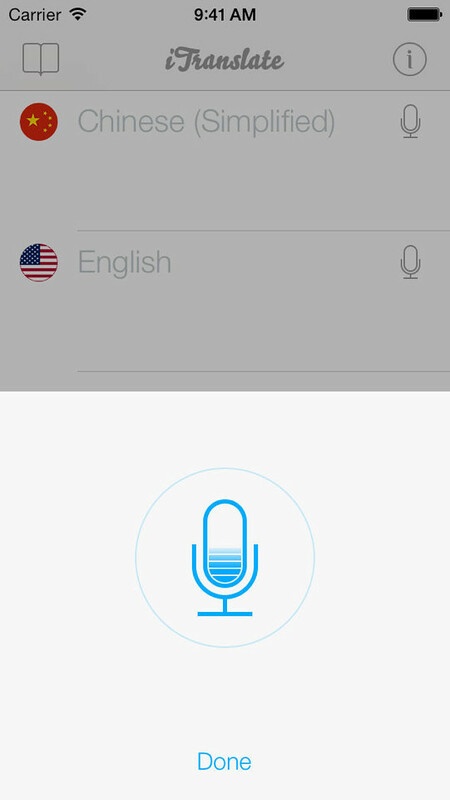 iTranslate brings you the best translation technology currently available on the market. We combine state of the art machine translation with our custom built technology to serve you the most accurate translation results in the blink of an eye. 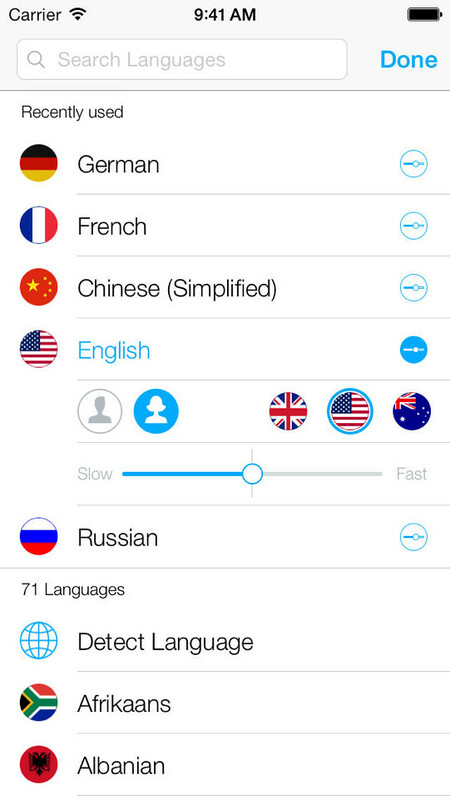 Most translator Apps give you only 1 result per translation. However, if you are translating words and phrases there are often different meanings, depending on the context. 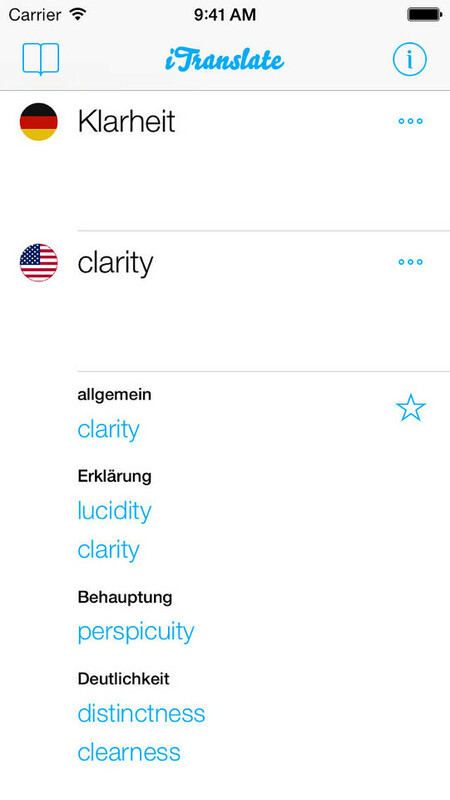 iTranslate gives you dictionaries for many languages to precisely solve that problem. The best part: you can even help us improve our dictionaries by rating or suggesting translations! Ever wanted to know what an Australian English female sounds like? With iTranslate we bring you the most comprehensive Text-to-Speech implementation you have ever seen, powered by iSpeech. 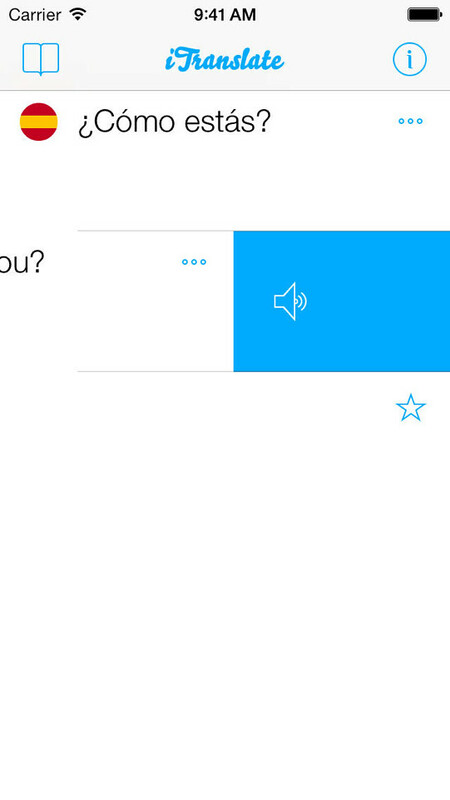 You can select between lots of different dialects, choose a male or female voice and even control the speaking rate. Speak instead of type. No training needed. Just start speaking and we recognize your voice, transform it into text and translate it into another language. Voice recognition is powered by Nuance, the most accurate voice recognition technology currently available on this planet. Do Chinese characters look like hieroglyphs to you? With romanization you can turn 你好 into this Nǐ hǎo! Transform non-Latin languages into Latin characters. Available for many languages including Chinese, Japanese, Korean Greek, Hindi, Russian and Thai. Browse through recent translations or save a translation for offline access. iTranslate is free to download and use. iTranslate Premium adds the great features above and is available as In App Purchase. You can download iTranslate from the App Store for free.